Halloween is coming and with that comes chilly weather and the task of walking with children as they collect nuggets of sugar that will certainly keep parents and grandparents awake as they deal with the sugar-rush. 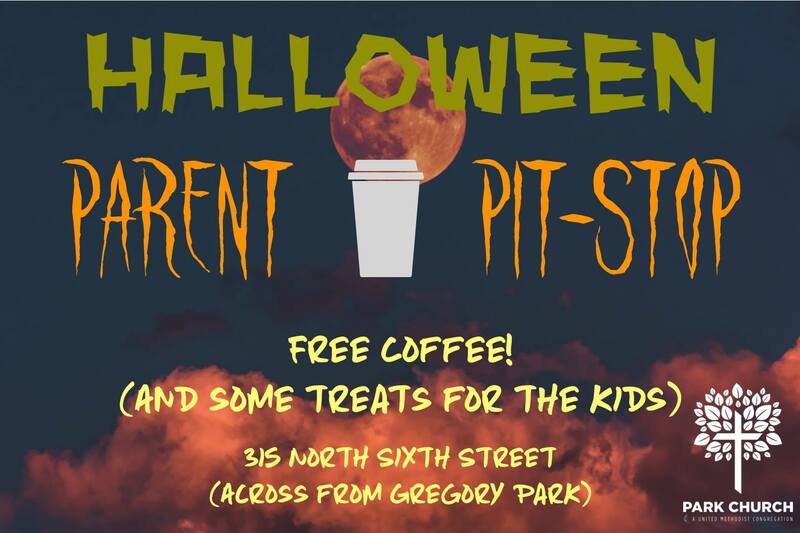 Park Church will have a table outside our church (across from Gregory Park) where parents (or any adult chaperoning trick-or-treaters) can get a free cup of coffee. Warmth. Caffeine. Survival. Bring your own travel mug (to help cut down on waste) or we will provide a to-go cup if needed! We will also have little nuggets of sugar to give to the kiddos!